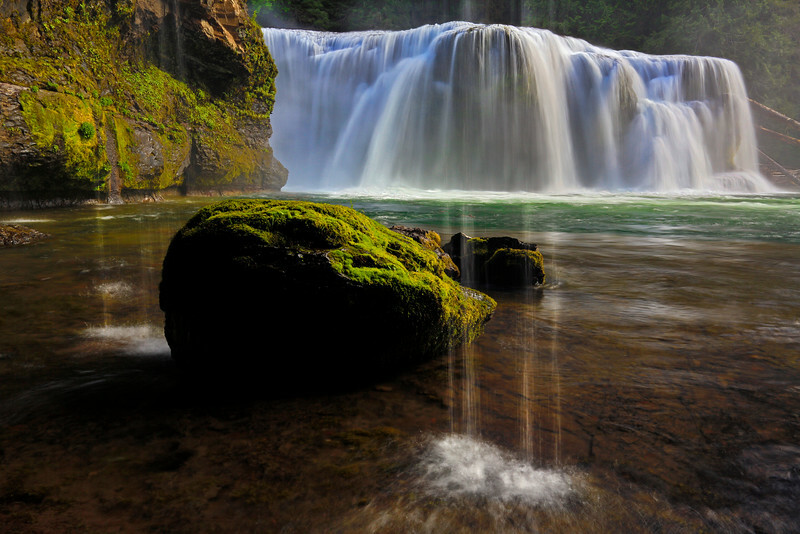 Water seeps down from the rocky cliffs above at the Lower Lewis Falls in Washington. It is 43 ft high. Gorgeous pov...lovely light on the moss and a terrific capture of the falls! Incredible shot...wonderful pov...lovely capture of the falls! You have an excellent eye in getting the water fall reflection into the foreground. Really pleasing image. A spectacular scenery. Like it very much. Superb capture, great long exposure!